Vandaag de nieuwe uitdaging bij ABC Christmas Challenge en voor mij de eerste keer als host van deze uitdaging. N voor Not a Card. Het is weer eens wat anders. Het enige waar het aan moet voldoen is dat het met kerst te maken heeft. Ik heb met de Silhouette een slinger gemaakt. Mijn teammaatjes hebben ook erg leuk creaties gemaakt, dus ga even kijken op ons blog. Genoeg inspiratie toch? Ik ben benieuwd wat jullie maken. 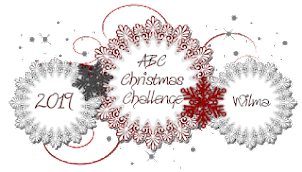 Today the new challenge at ABC Christmas Challenge and for me the first time to host it. It's N for Not a card. So it can be anything as long as it is Christmas themed. I made a garland with the Silhouette. 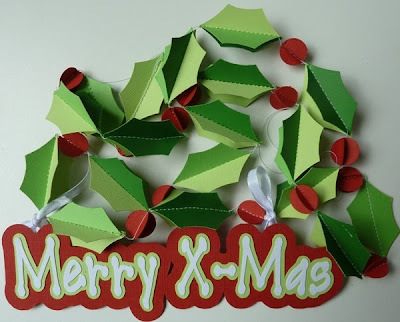 For inspiration go over to our blog to see the beautiful creations from my lovely teamies. We hope to see a lot of great projects from you, so please join us! Simon Says Stamp is offering a $20 gift voucher to spend in their store!! In business since 2002, Simon Says Stamp is striving to offer you the best selection of Rubber Stamps, Altered Art, Scrapbooking, Artist Trading Cards, and Paper Crafting Supplies in the world. We stock over 100,000 items in our warehouses so that we can offer you quick service and one stop shopping at a great price! "Stamp Fairy officially launched on November 5th 2010. Gerda Burghardt, artist and owner, creates cute and whimsical digital images for the young and old, inspired by her life, love and 4 cute cats. You will find adorable teddies bears, young boys and girls, fuzzy little bunnies and whimsical critters. 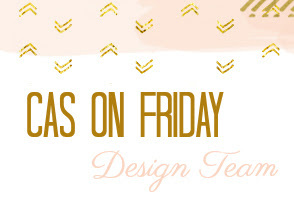 Stamp Fairy has new releases along with a free image every Friday and Guest Designers each month. Please visit the store and browse StampFairy’s wonderful images. We hope StampFairy’s images inspire YOUR creativity." Start following our trades right now and make up to 270% daily. Weet iemand raad?! Inmiddels opgelost.